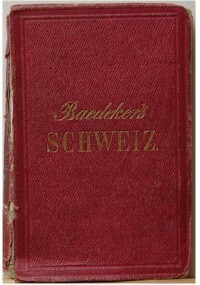 Baedeker editions covering Switzerland in German. See also editions on Switzerland in English and French. Switzerland rapidly turned into a tourist country, once the joys of alpine sports had become popular. The Baedeker editions on the country were therefore always bestsellers. The German series was also the longest-running series under the same name.